A new festive, cut-price Metrolink offer – benefiting early birds and night owls – will launch on Monday in a bid to help tackle congestion on our region’s roads. By offering discounts for those able to travel outside the busiest times of the day, the ‘Early Bird’ products are also set to appeal to the thousands of seasonal, part-time and shift workers that will be recruited during the busy festive period. Transport for Greater Manchester (TfGM) is piloting the ‘Early Bird’ products as part of the Mayor’s Congestion Deal, which encourages people to try to change their travel behaviour to reduce congestion across the city-region. Mayor of Greater Manchester, Andy Burnham, said: “Congestion is a major problem that is affecting people’s lives on a daily basis. “Additional trams and tram lines, improved cycling and walking infrastructure and the Manchester and Salford Inner Relief Route works will all help in the long run, but they will take time to bear fruit. As set out in the Mayor’s Congestion Deal, employers are being encouraged to introduce flexible start and finish times for their workforce to encourage people to travel outside of the traditional peak times, when congestion and crowding on our roads and public transport network is most likely. 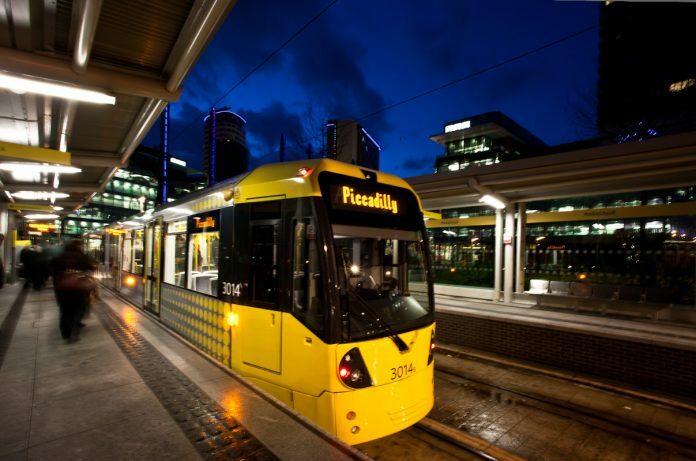 Early Bird – £1: Unlimited travel on all Metrolink tram services from start of service until 7.30am. Early Bird Plus – £3: Unlimited travel on all Metrolink tram services from start of service until 7.30am PLUS unlimited travel between 1pm and 3.30pm and unlimited travel from 7pm until end of service. Both products are available to buy from the start of service until 7am. These fares apply to travel across all parts of the network during these times, offering a real saving to those who are able to travel outside the peak. The app is free to download from Apple and Android app stores – just search for get me there. More information is available at www.tfgm.com/earlybird.